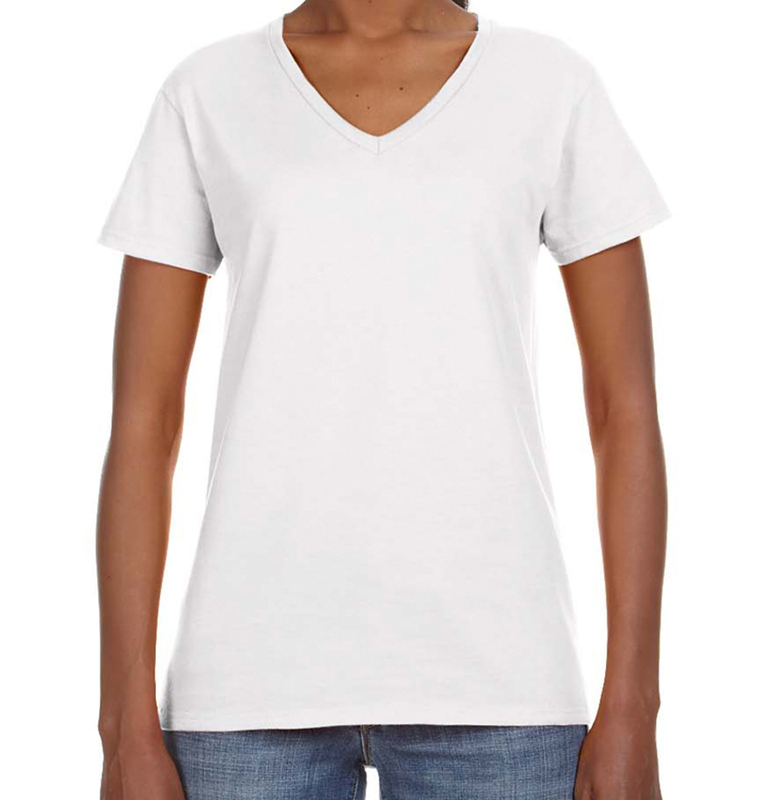 This flattering v-neck tee would be the perfect addition to your next trip, fundraiser, or event. 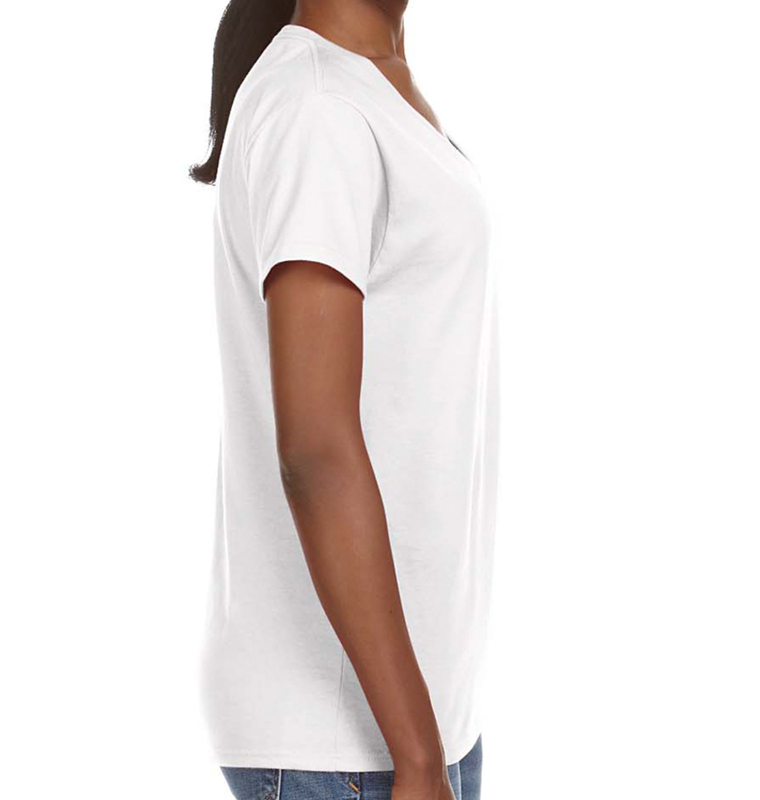 For an even more lightweight option, check out the Featherweight v-neck version of this shirt. 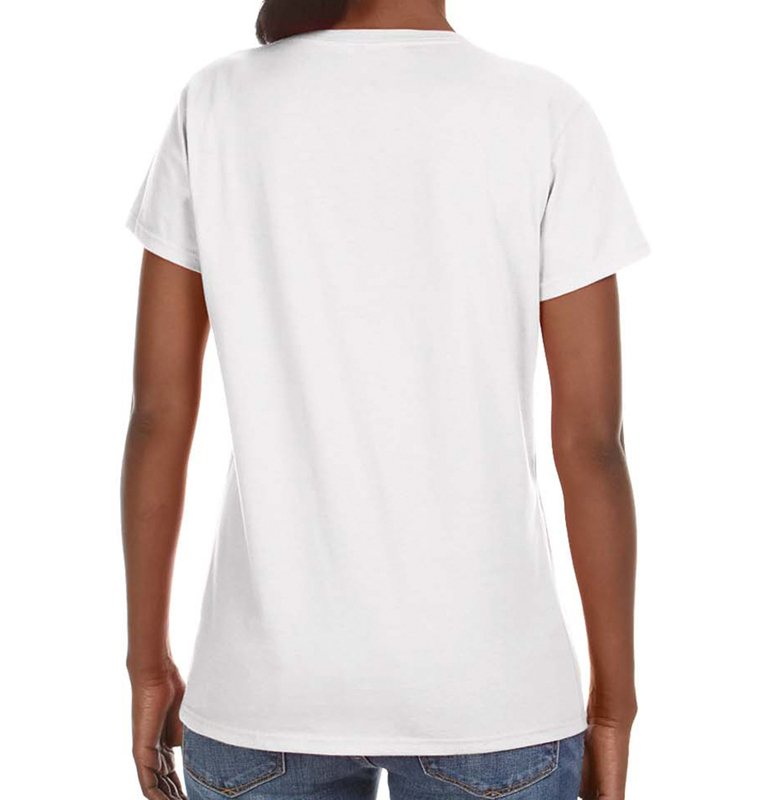 Printers love this shirt’s high density surface! Ordered 2 different style t shirts with different logo. They came out great, just as I wanted. They were made and shipped quickly, customer service was very helpful and responded promptly. Will definately being doing business again. nice quality. arrived on time. the girls loved the v-neck. For our 2nd annual girls vacation...we once again had Rush Order Tees print up t-shirts for us. Once again...we loved them! So easy to design and order. They turned out great. The shirts are just what we wanted. We will be wearing them in Portugal walking the Camino to Santiago Spain. Amazing quality and turn around! Will definitely order again! !